We at DH Complete Cleaning offer a professional service from initial site visit through to contract completion. 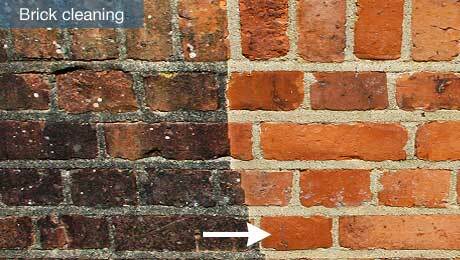 The appearance of brick work can be permanently spoiled by bad cleaning techniques or by the use of the wrong cleaning agent. High pressure jet cleaning when directed onto a surface to be cleaned is gentle yet effective in removing unwanted matter such as carbon, green mould, stubborn dirt’s, scale, graffiti and certain kinds of paints, from many types of materials. High pressure jet cleaning is unique in its efficiency and gentleness in cleaning as the substrates surface is left undamaged. We can safely say that there is no other method of cleaning which is as gentle as the high pressure jet system. Health and Safety requirements will be adhered to on all projects, and we are willing to advice on any special needs for any particular job.